Well, it’s official. I have two toddlers. 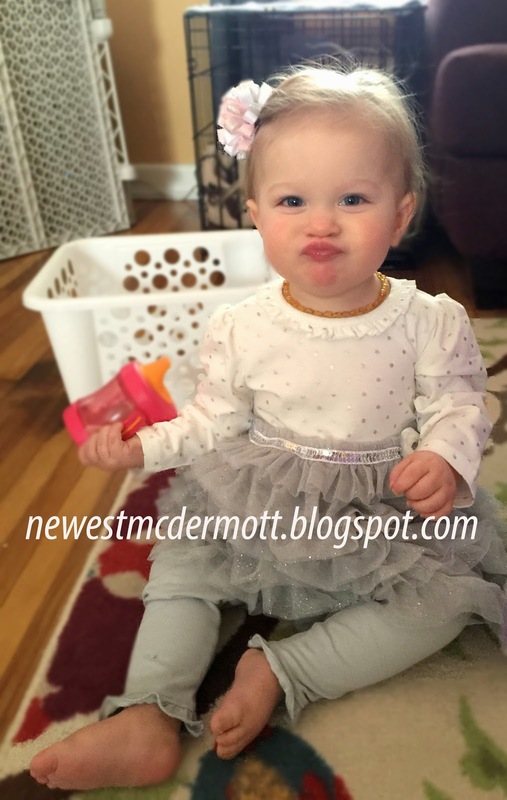 February 12, 2014: Lillian joined the family! By March of 2014, she was chunk-tastic! In June, she started teething and stopped sleeping so nicely. In July, she started developing her clearly bubbly personality with a side order of attitude. In August, we celebrated half a year with the Lilly-girly! In September, she got mobile and showed us that she is going to be a bit more of a challenge than her big sister. By December of 2014, I may have been on the verge of a nervous breakdown from a combination of the girls’ ability to wreck my house in 3 seconds flat and sleep deprivation. In January, we struggled some more with sleep, but it turned out to be because she was getting 3 teeth at once! She can also sign: bye-bye, hello, more, all done, eat, thank you, and cup.